I’m working a late night again today so I really had to make sure that I found a dog in the daytime, it would be way too late by the time I would get back to Bolton! 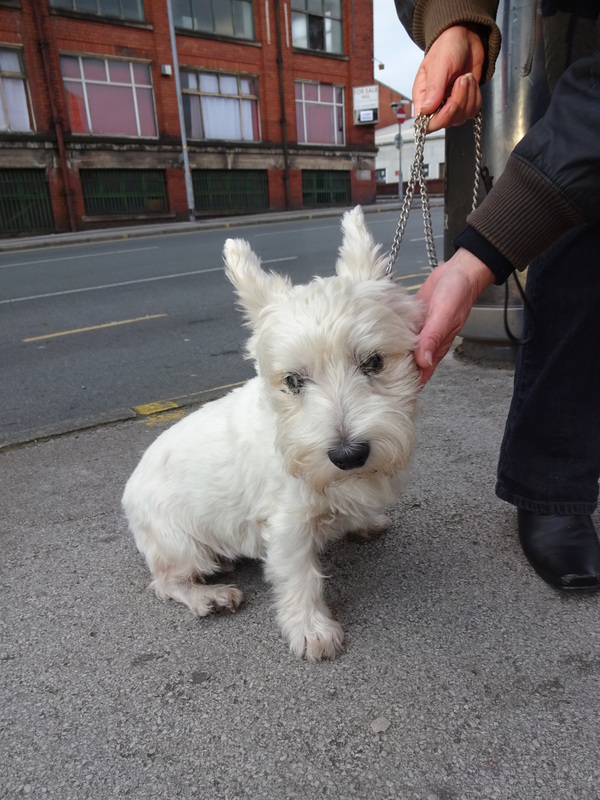 I was on my way to the train station when I spotted a lovely Westie, I was really pleased; I didn’t imagine that I would spot a dog in that spot at that time of day! I even managed to catch my normal train as well! Tammy is a lovely girl, she’s very cute but she’s also very shy. Tammy unfortunately has an eye condition which means she can’t see properly! Her human mummy has to bathe her eyes and put eye drops in daily, poor Tammy.